As businesses grow and branch out into other markets, they often need capital in the form of business loans to bridge the gap. 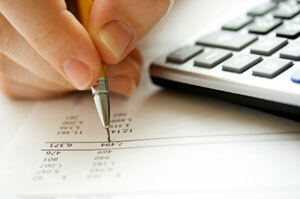 Finding and qualifying for business loans, however, can be a challenge. With an array of lenders located across the greater Tampa, Florida area—and a long list of requirements to apply for each loan—business owners can spend weeks or even months trying to secure the right loan for their needs. If you own a business in Tampa, St Petersburg, Clearwater, Lakeland, Pasco, or anywhere else in west central Florida, a business finance consultant from Reliance Consulting, LLC can help you find a lender and cut through the red tape, saving you time and enabling you to take your company to the next level. In addition to being your trusted business finance consultant, Reliance Consulting also offers virtually every financial service a Tampa, FL area business owner needs, from tax preparation to bookkeeping and payroll to IRS problem resolution. Whether you own a dental office in Sarasota or a chain of hotels from Pasco to Polk County, Reliance Consulting is the CPA you can rely on. Please contact Reliance Consulting today for a free financial checkup and more information about the many reasons why you should have a personal business finance consultant in your corner.